The mention of White Mane in the company of fellow ACW enthusiasts will likely elicit a range of responses. Most recently in his blog, Eric Wittenberg has talked about a book recently published by White Mane that reflects very poorly on that press. I didn't like the book either and I was unfortunately unaware of the copyright problems mentioned by Eric when I wrote my review for North & South magazine. Even beyond that, I was hoping readers were able to “read between the lines” of my displeasure with the book…how successful I was I have no idea. That being said, White Mane has published some very fine books that shouldn't be overlooked amongst the dreck so I’ve decided to do a short “Best of White Mane” series. I think in general that today's cost-cutting publishers (I presume especially so for the small ones) have largely abdicated their responsibilities in terms of fact checking and proofreading and rather depend far too much on the intellectual honesty and good faith thoroughness of the author. Some authors come through this with flying colors and others fail miserably. 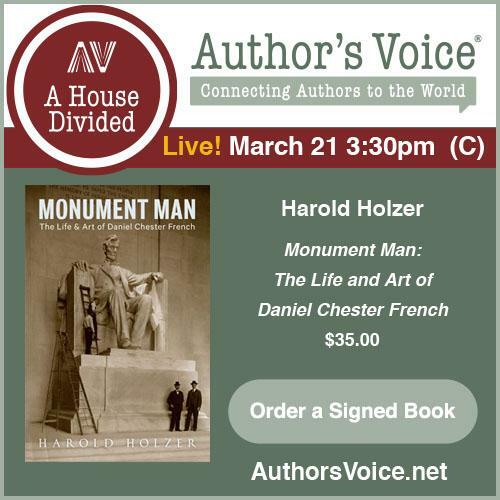 I have talked with a few CW authors who have even had to do their own indexes—is that typical? On the other hand, some authors of badly published works swear that, in their particular case, spelling errors and the like are on the publishing/printing side of the division of labor. Regardless of who is at fault, I am saddened and more than a bit angered when I read a book that has a typo on almost every page (even more so if the book is very good otherwise). Installment one of “Best of White Mane” to follow. I just wanted to thank everyone who has taken the time and effort to comment on any of the blog entries. As an added bonus they've all been polite! I may not respond to each comment made but I do read them all. 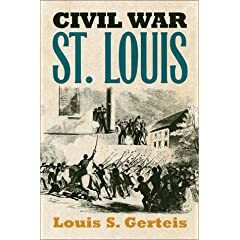 As lamented in earlier posts, the battles of the 1864 Red River Campaign lack modern definitive treatments (or really book-length studies of any kind). Additionally, the several campaign survey books cover specific military events only briefly. The best work we are likely to get for the forseeable future are the articles written by Curtis Milbourn and published in North & South Magazine. The three published articles listed below are models of modern tactical CW military history writing and are highly recommended. "Fighting for Time" (vol. 5, #4) - covers cavalry delaying actions early in campaign. "The Battle of Mansfield" (vol. 6, #2) - coauthored with Steve Bounds. 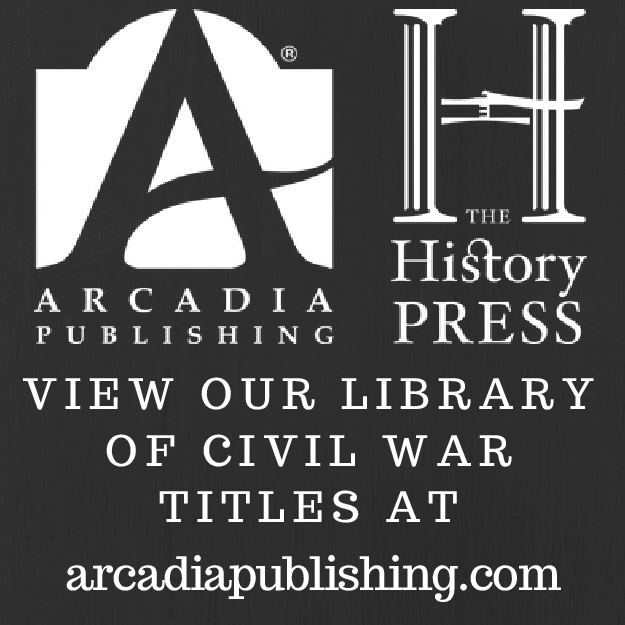 "The Battle of Pleasant Hill" (current issue, vol. 8, #6) - coauthored with Steve Bounds. After the tactical victory at Valverde, Sibley's army left Canby and Fort Craig in his rear and resumed his northward march. Santa Fe fell to the Confederates and the vast supplies at Fort Union were threatened. 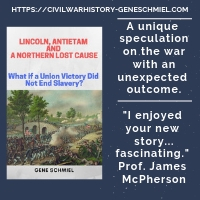 Fortunately for the Federals, reinforcements arrived and they were able to assemble a mobile force under the command of John Slough to meet the advancing Confederates. When the two armies met in the mountains, a multi-day seesaw fight ensued. The Battle of Glorieta was indecisive but Colonel John Chivington's destruction of the Confederate supply train at Johnson's Ranch far to the rear was disastrous. Sibley's army was forced into a calamitous retreat back to Texas. This final phase of the campaign is well told in two books, Don Alberts' The Battle of Glorieta: Union Victory in the West and John Taylor's (who we've seen before with Valverde but now teamed here with Thomas Edrington) The Battle of Glorieta Pass: A Gettysburg in the West. Both are worth reading, but I think Alberts' book and his grasp of the subject is superior overall. His strategic overview is more detailed and he does a better job of constructing a battle narrative. Additionally, Alberts' traditional-style maps show more information and are altogether more useful. Taylor does continue his fine numbers and losses analysis from his previous Valverde work and puts together an excellent order-of-battle for Glorieta that also includes unit strengths. As General Sibley's command moved north through New Mexico, the Union force at Fort Craig under E.R.S. Canby was a significant obstacle, and one that could not be bluffed into surrender or evacuation. 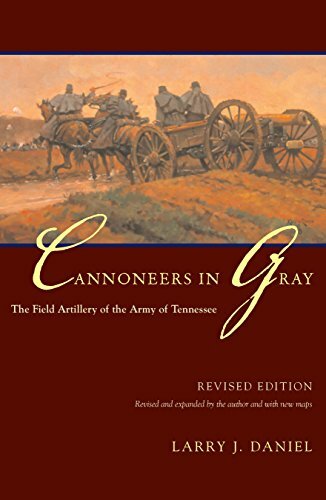 A siege was out of the question and the light artillery pieces of the Confederates made pounding it into submission unreasonable. A stab at maneuver on February 21, 1862 resulted in a battle north of Fort Craig along the banks of the Rio Grande at Valverde ford. The Confederates won a tactical victory but failed to force Canby to give up Fort Craig. Bloody Valverde: A Civil War Battle on the Rio Grande, February 21, 1862 by John Taylor is the best treatment of this battle to date. The analysis is sound and the combat is detailed in short time increments at the company and battalion level. In addition to being numerous and well-chosen, the maps in Taylor's books are unusual in that, instead of the standard lines or NATO symbology representing formations, he places actual military figures (men, horses, guns) on the map that are representative of a certain number of men (ex. one soldier figure equals 30 infantrymen). On the negative side, the miniatures look is a bit cartoonish but, on the other hand, they do allow the reader to instantly visualize the relative size of opposing formations, the kind of information lines or NATO symbols do not typically show. Gamers and other military enthusiasts will be happy to know that Taylor also provides an in-depth analysis of numbers and losses. Impressively, his order-of-battle actually lists the strength of each company for both armies. Obviously it is much easier to do this for the small battles, but it remains disappointingly rare to find even regimental strengths in battle study OBs. While Sibley moved north into New Mexico, a company-sized cavalry detachment under Maj. Sherod Hunter was left with the difficult task of garrisoning Confederate Arizona, protecting the inhabitants from Apache raids, and with keeping the western road to Tucson open (apparently there were some filibustering pretensions directed at the Mexican state of Sonora as well). I haven't had the opportunity to read it, but author Boyd L. Finch has written a book on the subject titled Confederate Pathway to the Pacific: Major Sherod Hunter and Arizona Territory, CSA. The Confederate invasion of the territories of the U.S. desert southwest has received a fair bit of coverage over the years. The standard account for many years was Martin Hall's Sibley's New Mexico Campaign. 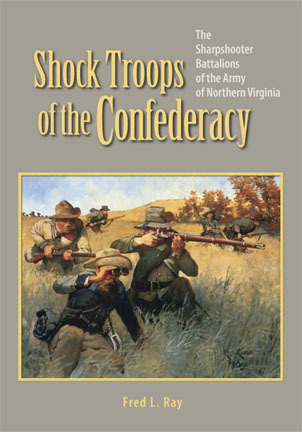 Hall's book is a fine account, but in my opinion has been superseded by Donald Frazier's Blood & Treasure: Confederate Empire in the Southwest (Texas A&M University Press). Frazier's work is a more complete and more detailed chronicling of Confederate General Henry Hopkins Sibley's northern advance from west Texas into Arizona (Confederate Arizona anyway) and New Mexico territories during the first winter of the war. 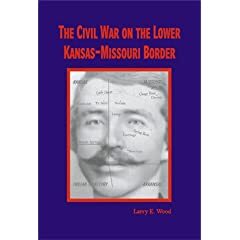 The author argues that the campaign was not a peripheral or discretionary move but rather a vital part of Confederate grand strategy for creation of a southwest empire. Although permanently seizing the gold fields of Colorado and opening a pathway to the Pacific through what is now Arizona and New Mexico would seem to be far beyond the resources of an already stretched Confederacy, Frazier argues that great results may have come from a greater allocation of Confederate resources to Sibley's effort. Whether you buy this argument or not, Blood & Treasure is the best military overview of the subject. The maps included are unspectacular but the battles are covered in more detail than is commonly seen with survey works of similar scale. P.S. Camp Pope Bookshop has a nice selection of Civil War in the Far West books here, several of which will be discussed later on this blog. 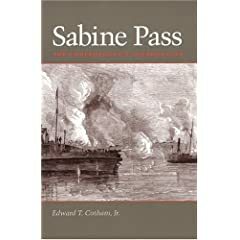 Unfortunately, a definitive military study of the 1864-5 Federal campaign that first closed the port then captured the city of Mobile itself does not exist. On the other hand, readers in need of a short survey of the city's war years cannot do better than Art Bergeron's Confederate Mobile, first published back in 1991. Bergeron has written an overview in the style of New Military History. He begins by outlining Mobile's strategic role as a blockade running port and rail hub. This is followed by a discussion of the various Confederate commanders who passed through. 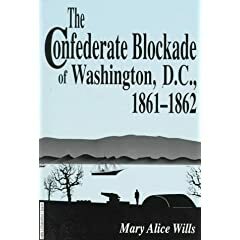 In addition to outlining Mobile's progressive strengthening of it's defenses throughout 1862-3, chapters are included that deal with the hardships of civilian life, both white and black. Bergeron's treatment of the Battle of Mobile Bay and the subsequent massive land campaign against the forts guarding the city itself is accurate but disappointingly brief (the maps are weak as well). Overall though, as with all of his work, Bergeron's research is solidly based on primary source material and he writes an engaging narrative that is equal parts social and military history. Speaking of McClellan, readers interested in reconsidering the popular view of George Brinton McClellan's record through the lens of some of his modern day supporters should check out Dimitri Rotov's McClellan Society webpage. To me, the most interesting section is the McClellan Controversies.